New York, NY According to Steptoe & Johnson LLP, real estate lawyer Jim Carolan has joined as a partner. Carolan will work in sync with Steptoe’s Private Client practice in New York, which welcomed partners Beth Tractenberg in 2015 and Zvi Hahn in 2016, and the firm’s long-established property practice in London. Carolan has broad experience representing foreign and domestic clients in all aspects of real estate. He has handled acquisitions and sales of single assets and portfolios, ground leases, space leases for office, retail, warehouse and other uses, asset-based and mezzanine financings, development and investment joint ventures, construction and design arrangements, and complex easements for conservation, utilities, construction and access. His diverse clients include developers, major corporations, universities, funds, art galleries, luxury retailers, restauranteurs, investors and family offices. In addition to his extensive commercial experience, Carolan has handled more than $1 billion in luxury residential transactions in and outside the U.S.
For more than 10 years, Carolan led the U.S. real estate group for a U.K.-based firm, where he gained experience with cross-border transactions. 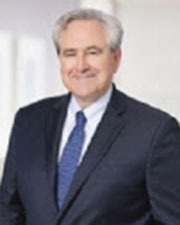 Previously, Carolan spent 14 years as an associate general counsel at Yale University, where he advised the central university and endowment on real estate investment and development, and general business matters. Steptoe’s Tax Group brings clients decades of consulting, transactional, and advocacy experience in all substantive areas of federal and state taxation. The team includes former senior government officials from congressional offices, the IRS, Treasury, and the Justice Department, who have vast experience in sophisticated tax planning, audit, and controversy work. The Private Client practice advises high-net-worth individuals, family offices, and closely held, family-run businesses on complex and often interconnected issues affecting the personal, business, and financial aspects of their investments and business activities. Steptoe’s London-based Property practice handles real estate matters for a large number of property companies, developers, wealthy investors and tenants. The team’s property work ranges from industrial and retail premises and infrastructure to residential, hotel and leisure developments. Carolan has taught courses and classes on real estate law and practice at Yale Law School, the Yale School of Forestry and Environmental Studies, NYU, Columbia and Cornell. He is a member of the American College of Real Estate Lawyers and has been recognized by Best Lawyers and New York Super Lawyers. He has handled pro bono matters throughout his career, ranging from a child abuse action to affordable housing, and advising on the formation and governance of nonprofits. Fluent in Italian, Carolan advises Italian speaking clients on their US dealings, and assists foreign investors dealing with Italy. In his spare time, Carolan raises money for the maintenance of Italian monuments. Carolan earned his J.D., with honors, from the University of Connecticut. He received his M.A. from Stanford University and his A.B. from Cornell University.